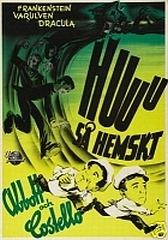 IN SOCIETY was the first A&C film put into production after Lou Costello recovered from a lengthy bout of rheumatic fever. 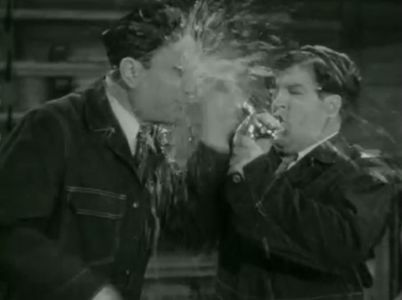 The most expensive Abbott and Costello film to date, IN SOCIETY featured superb production values, several musical numbers and a firetruck chase fashioned from excerpted footage of the chase scene in the W. C. Fields film NEVER GIVE A SUCKER AN EVEN BREAK. With all the attention Universal gave to this comback film, it's a shame it isn't funnier. IT HAS THE SOUL OF THE BEAUGARDE! Toward the end of the movie, there is business concerning a stolen painting that had just been unveiled at a high society party. Perhaps not coincidentally, Margaret Irving plays the Grand Dame who owns the painting. Ms. Irving was very familiar with this particular plot twist, as she had "stolen" a painting as a practical joke in the 1930 Marx Brothers classic ANIMAL CRACKERS.